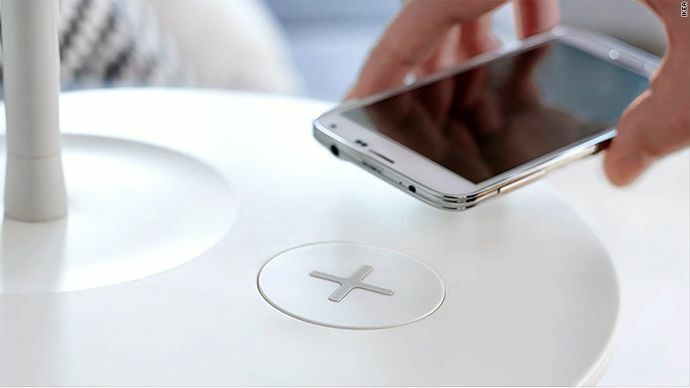 Wireless charging is pretty awesome, as it means you can just place your compatible smartphone on a charging pad (basically a drinks coaster with a USB port) and the battery will start recharging – no more hunting around in the dark for a cable when you top up your phone at night. There is a problem though, as smartphones with wireless charging need plastic backs to enable the charge to pass through – which meant those of us who could wirelessly charge would often look on in envy at the metal-clad slabs of gorgeousness others were toting. Thankfully the clever boffins at Qualcomm have come up with a way to allow Rezence chargers (the name of the wireless tech some phones use) to wirelessly charge devices with metal backs. Ditching the jargon, this means we no longer have to choose between wireless charging or a fancy looking – and feeling – handset, and it could usher in a wave of gorgeously designed full-metal smartphones capable of cable-free power ups. Samsung is one of the big believers in wireless charging (with its Galaxy S6 and S6 Edge flagships coming with the technology), so lets hope the technology giant leads the way in bringing us some drool-worthy all metal wireless devices soon.